The picturesque village of Barley nestles in a hollow high up in the Pendle Forest Area. There’s a lovely looking pub with a pint swilling crowd milling about in the sun-drenched beer garden. But you can only drink it all in as you whizz by. If you stop here, you’ll never make it out. Keep going and you’ll spend about 30 seconds chuffing through the village before you hit Barley Hill (well that’s what we call it anyway) and get your first taste of what the next 20 minutes or so will bring as you forge through the heat of the Pendle Forest Hell Zone. The climb up over to Newchurch is steep and brutal, with enough of an incline to blow your thighs apart like a couple of pulpy fragmentation flesh grenades. The public toilets in Newchurch are a great place to stop, either to pee or puke, or perhaps both………. 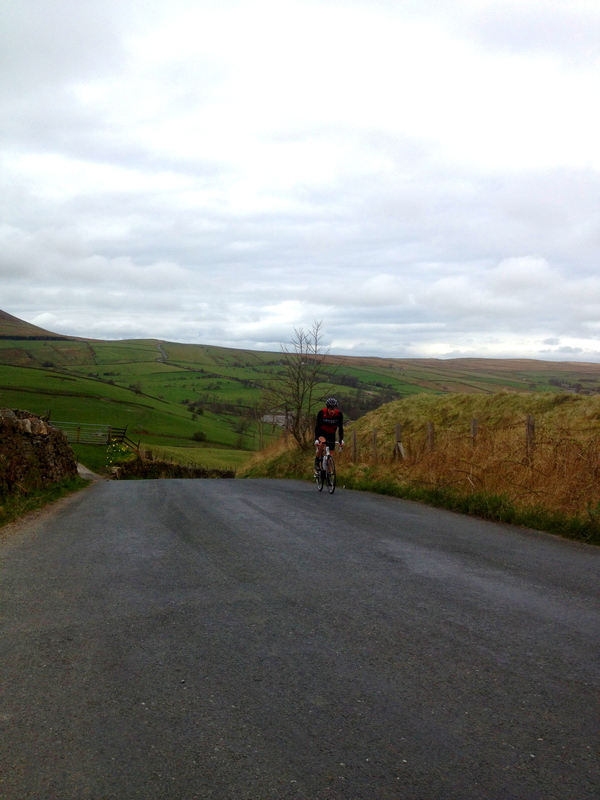 Stravasaddoinfopoint: The hill out of Barley is called Spenbrook Rd Climb (http://app.strava.com/segments/774000). Feel free to die on it like others have before you. Posted on April 26, 2013, in Bowland Badass Climbs and tagged Barley, Barley Hill, bowland, Bowland Badass, Bowland Forest, Bowland hills, Climbs, Cycling, Pendle, Pendle Forest, Route. Bookmark the permalink. Leave a comment.